Garage door systems need regular inspections and repairs to be performed in order to endure the stress of daily use. Getting them serviced by our professional technicians on a regular basis is the best way to avoid problems, fix damages and prevent accidental injuries and/or property damage. Our experts actually offer same day services and are always equipped properly in order to complete the service thoroughly on the spot. When parts are regularly inspected, lubricated (if necessary) and repaired as needed, minor issues will be eliminated before they get a chance to develop into big problems, the door will actually be able to function more smoothly, and will last for much longer as well. 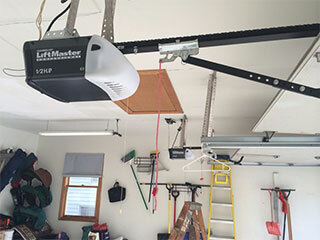 Our team specializes in taking care of residential garage door systems of every type and brand. When we inspect your mechanism, we make sure to test out every part and feature and to examine the condition of all of the system's components in great detail. We pay close attention to the condition of springs and replace them if necessary. We closely examine the opener to make sure its gears haven't worn out and that its circuit board is in a proper condition. We also make sure that your safety sensors are aligned correctly and make sure their lenses haven't gotten scratched. When it comes to your system's springs, our service certainly includes lubrication maintenance as well as testing and adjusting their tension, ensure their smooth operation. We make sure the door stays balanced and doesn't begin to tilt. Every single one of our technicians at Garage Door Repair Miami has a great wealth of knowledge and experience, and are beyond capable of all handling problems every type of problem, regardless of how big they are. We are particularly thorough, very dedicated and meticulous when it comes to ensuring our customers' safety and the longevity of their systems. Contact us today.